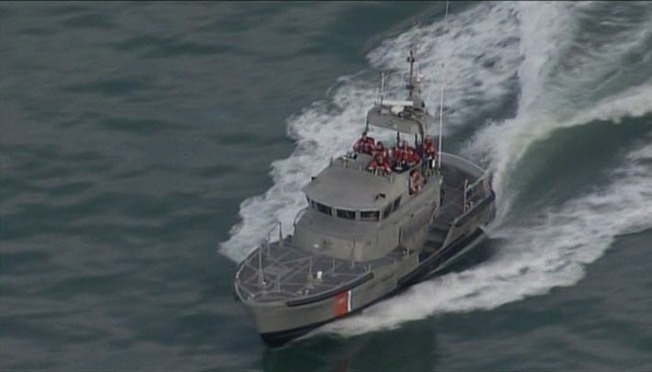 The U.S. Coast Guard late Monday suspended a search for a man who disappeared in the waters off of Half Moon Bay. Lt. Steven Dross said multiple reports came in shortly before 2 p.m. about an individual who was last seen going under the surf near Dunes Beach. The Coast Guard and several other agencies searched the water off Dunes Beach for hours before suspending the search at about 7 p.m. due to darkness. Rescuers said a person at the beach attempted to help when they saw the person get swept away by the tides. The man who attempted to rescue the person is OK, but no one has seen the missing swimmer since he was swept away. Surfer Christopher Benoit said the conditions were rough on Monday. "I could see how someone could get swept out today. The current is really strong, it's pulling you back in and get sucked back out," Benoit said. The Coast Guard said it will decide Tuesday morning on whether to continue the search.